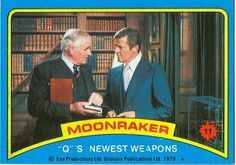 After the success of Star Wars everyone wanted the next space opera so producers even sent James Bond into space in the film Moonraker. The film has become a fan favorite for the absolute cheesiness of the concept and is remembered by Richard Keil's returning performance as Jaws. 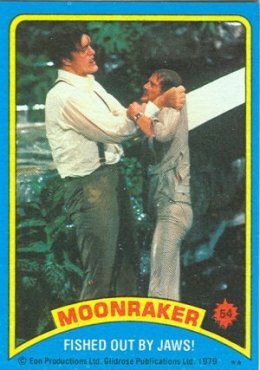 Topps decided to produce trading cards based on teh film because why not, their Star Wars card series was extremely popular. 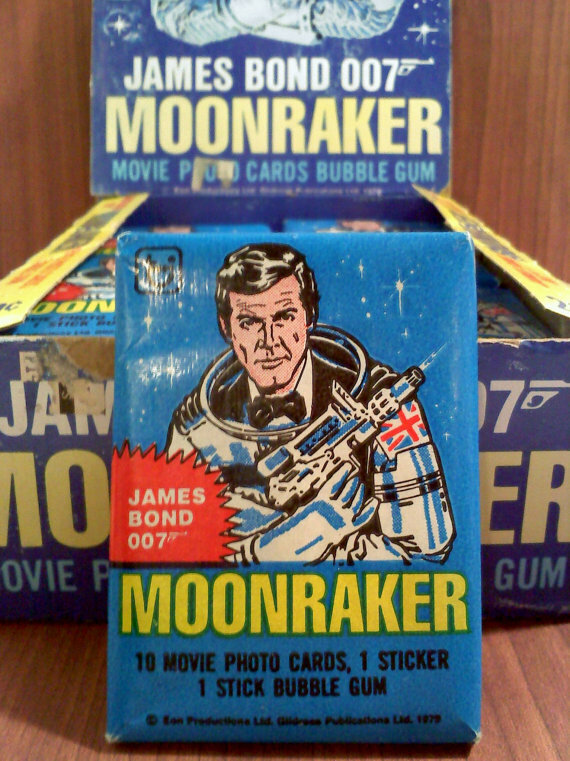 The Moonraker cards aren't to hard to find at conventions and such now days but for some collector's these are a nice peice of James Bond history.